relaxing | The Freedom Diaries. A place to freely be me. There are no boundaries. 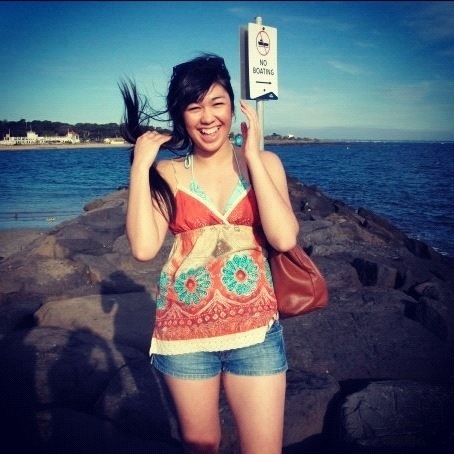 Since I had a rough week last week having a hard time dealing with homesickness, I decided to post this photo up of me at a time I was really happy and calm, and also somewhere that is my favourite place to be – the beach! Starting to feel much better now thanks to the weather and my friends, especially having an awesome girlie day out today with Lisa. If anyone else is having a hard time, I have this photo up for you too to remind you all to treasure the good moments in your life and be as happy as you can be despite the bad times. Take care, be strong, happy smiling and god bless! I’ve been somewhat stressed the past couple of days. I do accept that this is normal because not everyday is perfect. I’ve been feeling bad about not trying out the pub job I had a chance to experience and I’m really keen on getting a second job so I can keep busy and help my family financially. I’m frustrated I haven’t been able to find one, apart from the opportunity from the pub job I had. So it is making me feel a little lost and uncertain. I’m so happy I have a job at Enigma but I also want something with more hours and during the week, while my cousins are at school. Not only has that been on my mind, but I’ve been over-thinking and looking into some things a little too much. I also found out that the university I got into has deferred me until the wrong year; 2014 instead of 2013. I know it’s not the end of the world and it will all work out but I would be quite upset if they can’t change this to the correct year because I went through the process of applying for uni and getting it organised. It’s not a difficult process but I just don’t want to have to go through that again because of one minor error someone has made. I have emailed the university and have kindly asked them to change my deferral time to the correct year. All I need to do is wait on their response and the outcome. I don’t like feeling stressed, as I can’t imagine anyone else would. It’s an uncomfortable feeling that leads you nowhere and only makes you worry unnecessarily. I know now how to deal with it better, since becoming a more optimistic person so I know what to focus on when I’m feeling like this. I have gone over my ‘Secret Shifter’s list which has helped and I have also listened to some upbeat music that made me feel like dancing. Stress is common and even the happiest of people go through it so I know that this is only a phase. It just feels very strange to me since I don’t stress near as much as I used to, but I am proud of myself for that. The key for me is to just keep pushing forward, laugh everything off and smile the whole way through. Life isn’t meant to be easy, but that’s what makes me the stronger person I am today.